Goatskin, traditionally spoken of as Morocco leather or Kidskin, is used for making fine gloves –the Kid gloves of the Victorian era, still made today- shoes & boots and a variety of accessories and is prized for its softness and surprising durability. 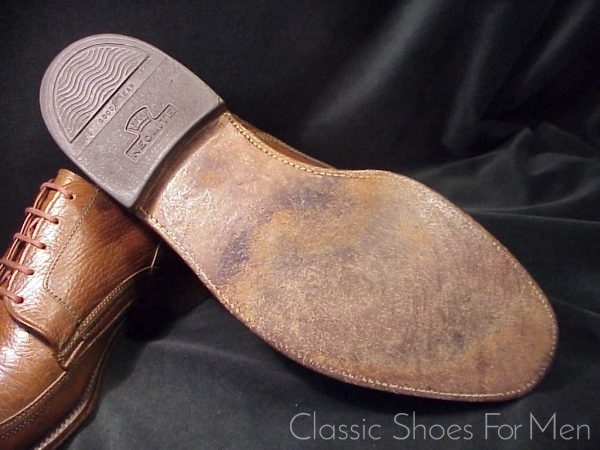 Shoes made of Kidskin are know for their superior accommodation to problem or irregular shaped feet. 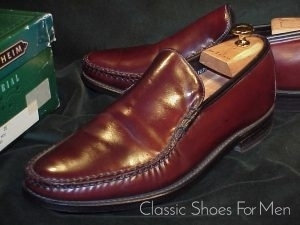 Of course they are a pleasure for any feet. 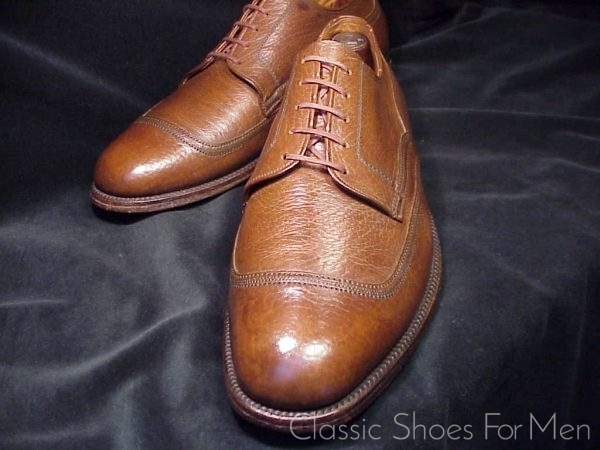 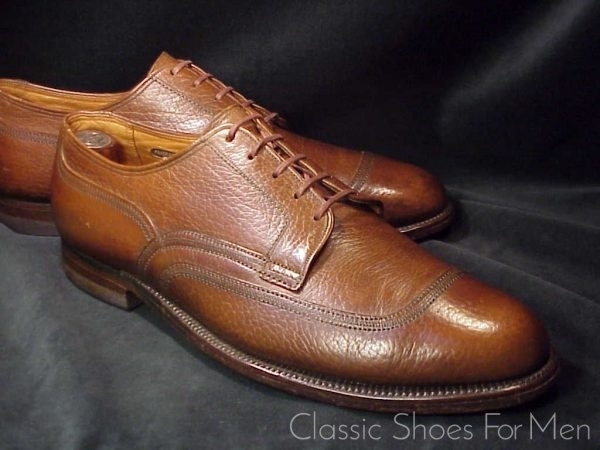 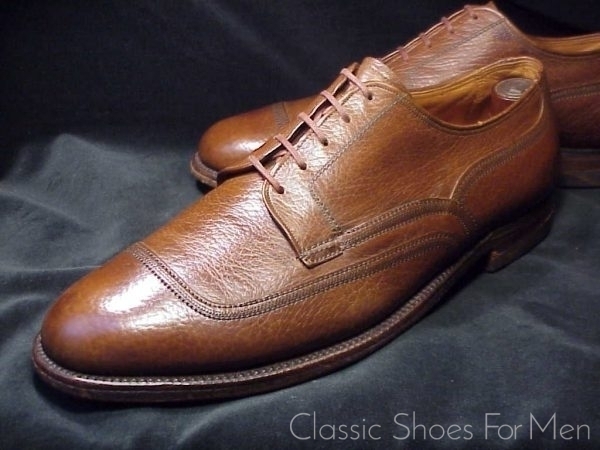 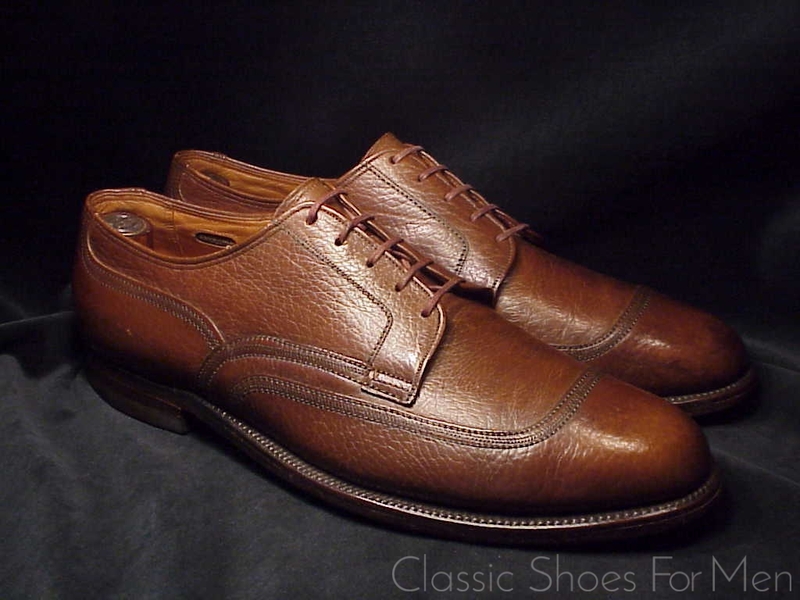 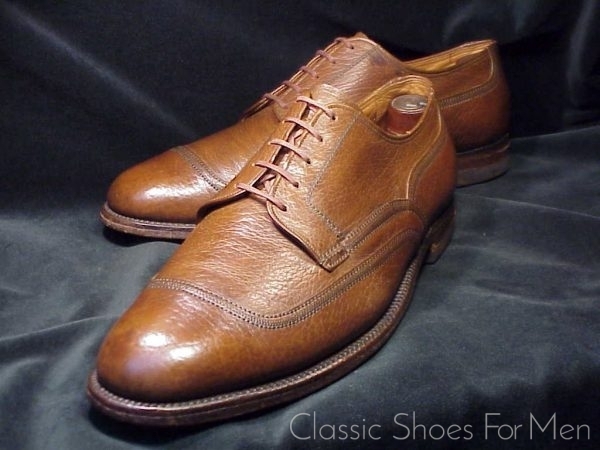 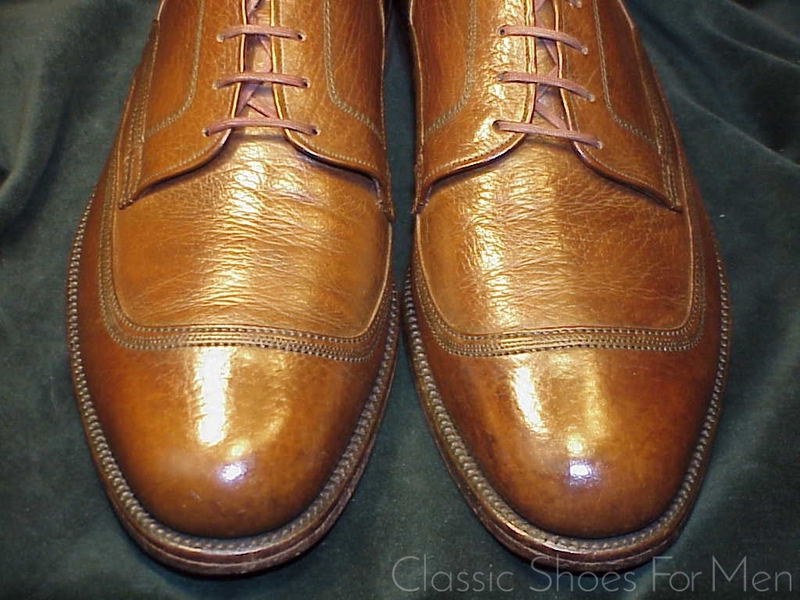 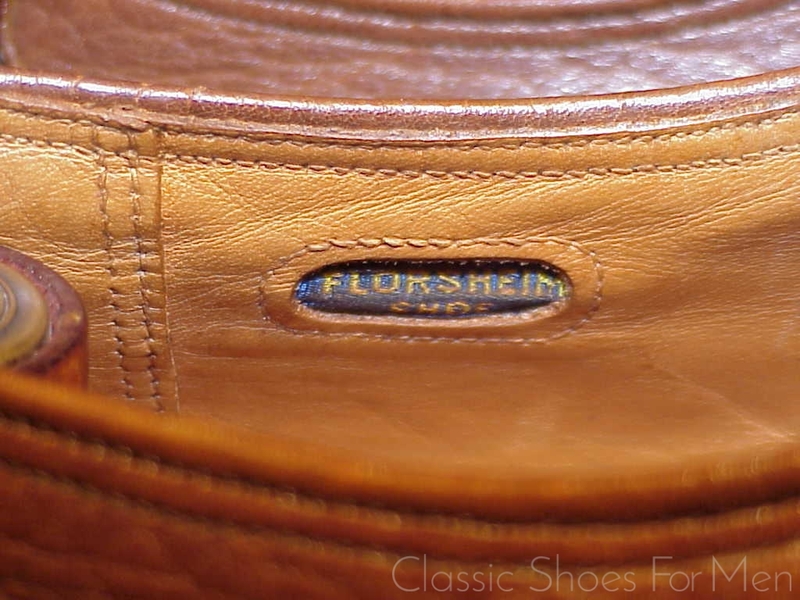 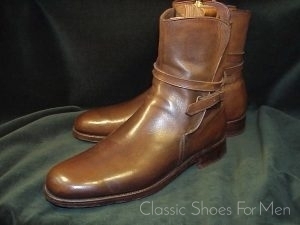 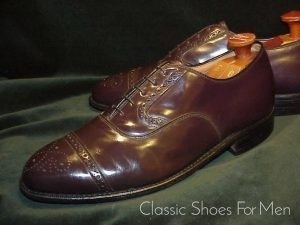 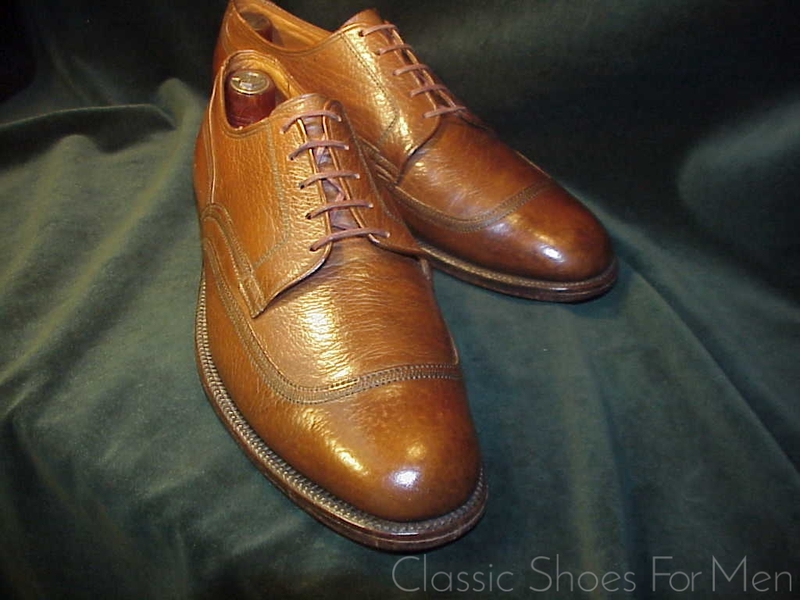 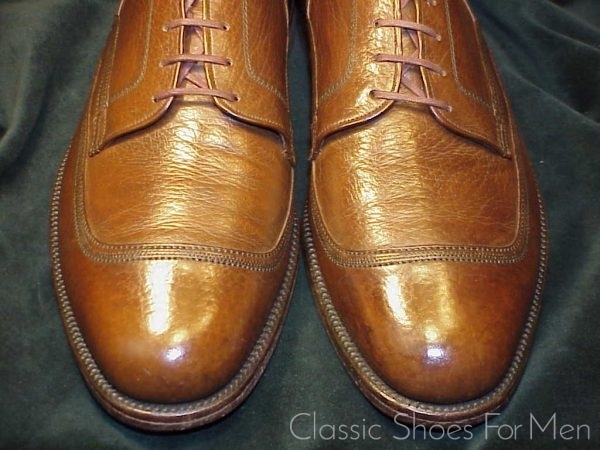 This shoe is easily identifiable for its 1940s or earlier vintage by the un-peaked wing typical of the pre-war period. 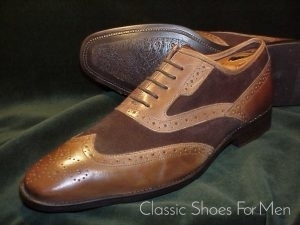 A very handsome and individual shoe.